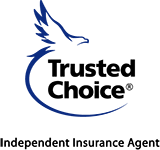 Anderson-Krause Insurance is an Independent Insurance Agency representing many different companies for your insurance needs. We carefully selected our carriers in order to provide you with the best level of service, price and coverage. As independent insurance agents, you have the ability to choose the best carrier for your insurance needs. That is the main advantage to using an independent insurance agency, we work to satisfy your needs. Our goal is to educate and service the Branford, Connecticut community and throughout the state of Connecticut. Through our independence, we strive to educate the community on the best options for their insurance needs. We can provide an assessment of your insurance needs with a choice of which package fits you best. We are dedicated to providing our customers in Connecticut with the best coverage at competitive rates. Just make one call to our agency, and we can shop your coverage through many top rated companies. With our professional staff, we can be your liaison with the insurance carrier in the event of a claim. We work for you, not the insurance company. We want you to have a positive overall experience with Anderson-Krause Insurance. Our one on one service approach is our #1 goal for all our insurance clients. Give us a call at 203-488-6386 or contact us through one of our quote forms, and we'll be happy to answer any of your insurance questions. 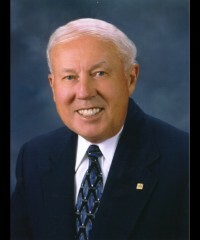 Kenneth A. Krause took over the agency in 1975 and has left a legacy of exceptional customer service, giving back to our community and striving to make insurance fun. Though Ken passed in 2018, his legacy lives on through his wife, Peggy, his children, Michael and Sue, and his granddaughter, Morgan. His family strives to uphold the standard of care and community that Ken has left on our agency. Now we thank you for supporting our family as we look forward to supporting yours for years to come. Our agency Principal, Michael, after working with Aetna Insurance Company upon graduating from Quinnipiac College now Quinnipiac University Michael joined his Dad’s agency in May of 1986. After only a few years of rigorous training, Michael obtained his Certified Insurance Counselor designation in 1992. Michael enjoys advising, servicing and taking care of people, which is why he believes the insurance industry is his true calling. He argues that insurance is the most gratifying occupation as not only are you able to protect people from a loss, you can also help them financially piece their lives back together. Michael is extremely family oriented and always finds a way to balance work and volunteering with spending time with his family, especially with his three children. Michael has served on the Professional Insurance Agents Association board as well as serving as Chairman of several committees and earning Chairman of the year twice. Michael has a true compassion for coaching and mentoring the children of Branford. Michael has coached our youth in the areas of football and basketball but his true love has been coaching baseball. After 25 years of being on the field with different sports, he continues to bring his passion for baseball and continues to Coach the Branford American Junior Legion Baseball Team. Michael has been on the Branford Board of Education for over 18 years and is currently in his 6th year being the Chairman of the Branford Board of Education. Michael’s Branford school involvement and love of coaching our youth of Branford is why Anderson-Krause Insurance is a supporter and sponsor of several youth sport and art programs here in Branford. Michael also believes in supporting several of our local non-profit organizations. Joining the family business was never in the cards for Morgan. 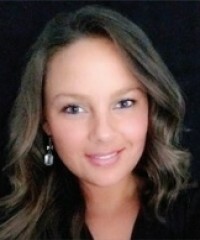 Though, after spending a year living in Australia upon graduating from High Point University, she found herself not only back home in Connecticut, but helping her father and grandfather with the agency. Thrown into the fire after obtaining her license, Morgan quickly excelled in customer service, for which she credits her internship as an Event Management and Coordination team member. Though growing up around it, she never anticipated working in the industry. With her B.A. in Criminal Law and Business Law and her intention to pursue law school on hold, Morgan quickly joined her father, grandparents, and aunt as a Personal Lines Account Assistant. Her continued involvement and interest led her to receive her P&C license as well as her CISR designation. Though not a part of the original plan, she believes joining the agency was the best thing that has ever happened to her. Aside from lounging on the beach with her favorite beverage and watching funny cat videos, Morgan enjoys learning new instruments. She plays guitar, piano and has recently added the ukulele to her bag of tricks. She loves any opportunity to be adventurous. She recently crossed skydiving over the Great Barrier Reef off her bucket list and vows to try cuisines from all over the world. Her love for food is tied neck-and-neck with her love for country music. Morgan credits everything she has to her family, friends and the grace of God. Morgan’s lifelong goal is to give back to others. This includes supporting St. Jude Children’s Hospital, the Ronald McDonald House Charity, which she participates with each year through their “Trees of Hope” event, and the Breast Cancer Research Foundation. She also donates to Feeding America as she believes that with all of the waste that Americans go through, no one should be left hungry. Morgan is a caring individual with a bubbly personality who reminds us all to never take life too seriously. After graduating college, Ann started her professional career working for Citicorp and People’s Bank in their mortgage departments. From there, she spent several years working in the staffing industry as an Account Executive and Branch Manager for Kelly Services. Over the last nine years, Ann has devoted her time in the insurance industry advising and taking care of her customers. Ann enjoys interacting with people and creating real connections. She believes that in order for a customer to truly trust an agent with their finances and assets, it is extremely important to get to know them first on a personal level. 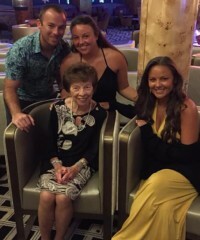 In her free time, Ann enjoys playing tennis, skiing and vacationing with her family in Aruba. At the same time of keeping her professional career going, Ann has been raising her family with her loving husband and is a dedicated mother of two boy’s one currently in college and the other going to college in the fall who is getting an opportunity to play baseball while attending college. Once retired, Ann plans to become a full-time dog mom. Her community involvement includes volunteering in the Madison Public School System specifically in the Parent-Teacher Organization. 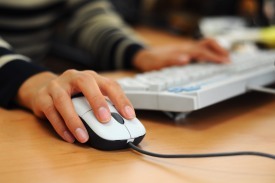 Starting as a Typist for Home Insurance Company in 1980, Nancy has been in the insurance business for over thirty-eight years. Her experience at Home Insurance Company landed her on the independent agency side of the industry in 1982 and has ever since. Nancy enjoys insurance because she values helping others and treating others with respect. Her customer service in the personal lines department proves that she is all about “better coverage, best price… with a smile”. Nancy enjoys watching NCIS and the Hallmark Channel and going bowling with her friends in her free time. This avid New York Mets, New York Giants and UConn Huskies fan is also quite the traveler. She’s a frequent flyer and cruiser whose favorite places to travel include Sweden and Bermuda. Nancy belongs to Trinity Episcopal Church in Branford where she’s taught Sunday school and sang in the choir. 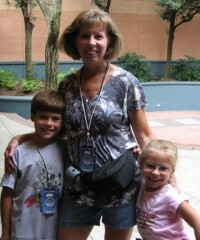 Her faith has guided her through her battle with cancer as she is a two-time breast cancer survivor. She’s also served as President and Secretary of the New Haven Chapter of Insurance Professionals which allows her to continue to expand her insurance knowledge. 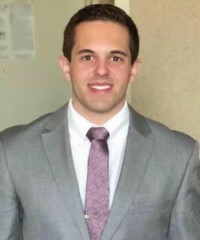 After graduating from UConn with a Bachelor’s of Arts in Economics, Ryan comes to us from the financial services industry. He has both back office and client facing sales and marketing experience as a Fixed Income and Equities Trade Processor and a Business Strategy and Development Analyst, respectively, both with Broadridge Financial Solutions. Ryan is new to the insurance industry as he values face-to-face communication, personalized customer service and working for a close-knit, family-style company like Anderson-Krause Insurance. He is an avid New York Yankees and Miami Dolphins fan and enjoys singing, playing and writing music as well as spending time with his very close family and group of friends. He values the intangibles; kindness, laughter, togetherness, honesty and always strives to keep pushing forward and overcoming life’s obstacles. Ryan has been a volunteer at North Haven Special Olympics since his high school days and continues to make and maintain long-lasting friendships with the athletes. Regina has over 30 years of experience and adventurous insurance stories in the commercial lines business. She first started out as a Commercial Lines Account Manager at an insurance agency. She climbed the corporate ladder becoming an Underwriting Assistant, then a Commercial Lines Multiline Underwriter with Zurich American Insurance and Commercial Union Insurance. 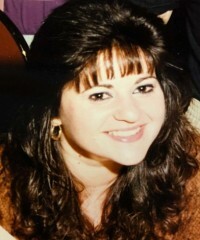 She then furthered her career by becoming an Excess & Surplus Lines Brokerage Underwriter at such brokerage firms as R.T. Specialty and Agency Intermediaries. She also served on the board as Treasurer of the NAIWNH (National Association of Insurance Woman- New Haven Chapter) for a few terms. She finds great joy and gratification in helping her clients answer the “what ifs” in life. With Regina’s help, the unexpected can be protected against. The constant change of rules and regulations combined with the thrill of helping people is what drew Regina to the insurance world. Her passions include her family, her faith and living life to the fullest. She enjoys singing, scuba diving, painting, photography, gardening and playing the drums. She even makes her own wine (ask her about this one!). Regina is an avid supporter of cancer research. Ever since her mother, father and brother lost their battles to cancer, she is determined to help find a cure. On top of giving to children’s hospitals, she donates to homeless shelters, food pantries and animal shelters. John has 54 years of insurance experience starting on the insurance company side as a commercial lines underwriter. He then brought that experience to the independent agency side and has been on this side of the industry for the past 47 years. John is a commercial lines guru who loves the technicalities and nuances of an insurance policy. With that knowledge, John is able to provide insightful advice to clients regarding their insurance needs and provide them with the coverage they need. The favorite part of John’s job is actually talking and meeting with customers. He enjoys one on one contact with his customers. 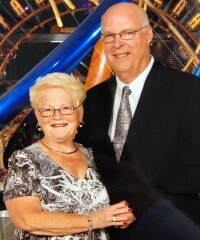 John loves spending his free time with the love of his life, his wife Janet, as well as his two children and three grandchildren. John is a Master Gardener, enjoys fishing and cruising the Caribbean. One of his favorite cruise destinations is Bermuda. John is a dedicated grandfather who attends all of his grandchildren's sporting events. Watching them play, compete and have fun brings the biggest smile to John’s face. 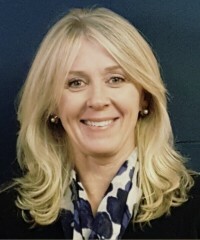 Upon graduating from Bentley College, Susan gained the necessary analytical and processing skills as a Programmer Analyst for an insurance company and decided to join the family business in 1988. This allowed her to be back home and closer to her family. So close, in fact, that she gets to work with her mother, Peggy, her brother, Michael, and her niece, Morgan on a daily basis. Can’t get much closer to your family than that! Sue learned the ropes at a very young age and knew that no matter where life took her and Michael, they’d somehow find it back to the family business. Sue values reliability in that if something needs to be done, no matter what it is, she’ll find a way to get it done and to the best of her ability. With a well-rounded background in processing, accounting, management and marketing, Sue is more than the woman behind the scenes. Susan has become the Accounting Administrator in the agency as well as the Computer Systems Administrator and without these two positions the agency does not run as smoothly as it does. She believes this keeps life interesting and allows her to use different skills in different areas and at different times. Even with all the responsibilities in the agency, Sue along with her husband Bob, are raising her daughter who currently attends Mercy High School and son who is attending RIT. Sue enjoys spending time with her friends and family but especially with her kids playing whatever sport of the day the kids want to play outside. Sue is an avid reader and loves being outdoors in the hammock reading her novels. Sue is a supporter of the schools that her children have gone through such as Shoreline Christian School, St. John School, Xavier High School and Mercy High School. From a first grade teacher to Confidential Clerk at Travelers Insurance, Peggy has never left the professional spotlight. 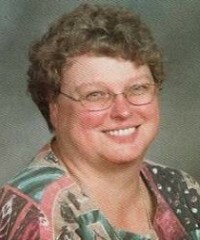 She joined the agency as Bookkeeper after her and her husband, Kenneth, took over the agency in 1975. The matriarch of the company keeps track of our agency’s payroll, accounting and taxes. Peggy believes her experience working with children and as a secretary at Branford High School inspired her to continue to work with people. She could not be happier working for the agency because it combines two things she loves the most, working and being around her family. In her free time she is an avid bridge, tennis, pickle ball and mahjongg player. She values staying active and healthy almost as much as seeing her children and grandchildren lead a happy and healthy life. Some of Peggy’s favorite charities include Salvation Army, Easter Seals, St. Jude Children’s Hospital and the American Cancer Society. Peggy was an active member of the Branford Women’s Club and serves as a lector at St Therese’s Church as well as a Eucharistic Minister. Also, long time member of the churches choir.